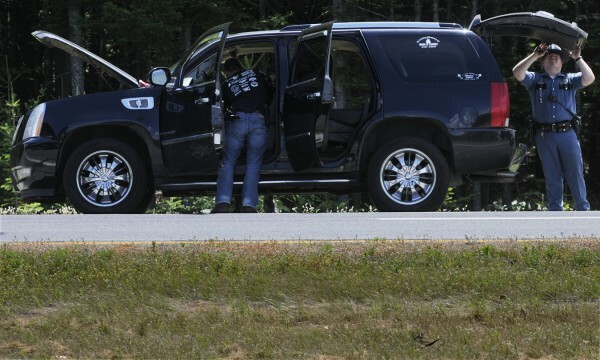 Traffic was slowed to a trickle about a mile of south of the Coldbrook Road exit on I-95 northbound in Hampden as state troopers searched a black Cadillac Escalade early Monday afternoon, July 25, 2011. BANGOR, Maine — The Maine Drug Enforcement Agency has arrested three people who allegedly conspired with a New York City gang to trade guns for crack cocaine that then sold was in the Old Town area. Darrell Crandall, who is a division commander for the MDEA, said the arrests this week were the result of a monthlong investigation that started after drug agents received tips about illegal activity at the home of 28-year-old Sarah Lemery of Bradley. Lemery and Jamel Slaughter, 28, of Bronx, N.Y., are charged with Class A aggravated trafficking in cocaine and possession of cocaine. A third person, Samuel Call, Lemery’s 39-year-old brother, is charged with Class B unlawful trafficking in cocaine. According to a press release from Crandall, informants told law enforcement officers that Lemery was working with gang members to trade crack cocaine for handguns. Crandall would neither identify the gang nor say where the handguns were obtained. Agents learned a week ago that Lemery and others had allegedly gone to New York City for cocaine. On Monday, MDEA agents and state troopers stopped a black Cadillac Escalade in the northbound lane of Interstate 95 in Hampden. No drugs were found in the vehicle, which was being driven by Slaughter. Slaughter, Lemery and others were kept under surveillance and late Thursday night undercover officers said they purchased cocaine from Lemery, Call and Slaughter. 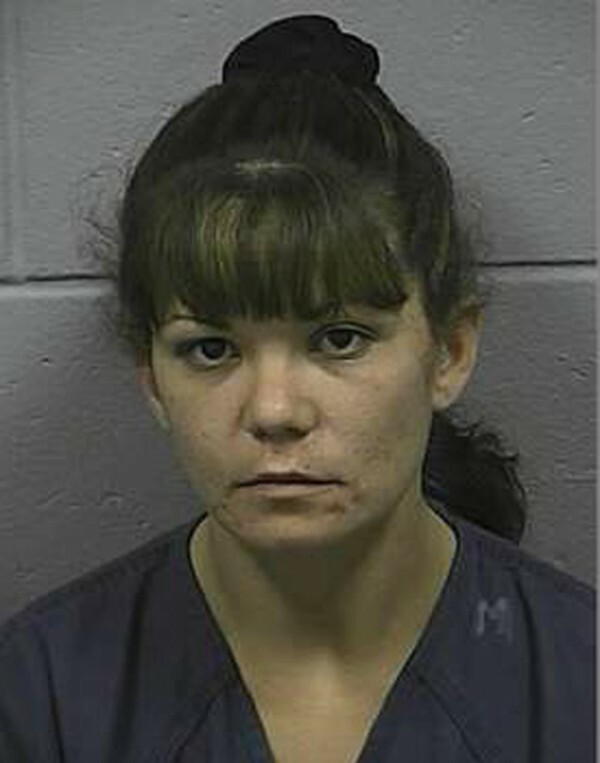 The trio was arrested without incident by the MDEA and Old Town police. Early Friday morning, the MDEA teamed with Ellsworth police and the Hancock County Sheriff’s Department to search a cottage on Cove Way in Ellsworth, where Crandall said Lemery and Slaughter had been staying. Two children were found alone at the residence. Crandall, who declined to say how old the children were, said agents contacted the Department of Health and Human Services. It was unknown where the children are now. According to the press release, an ounce of crack cocaine worth about $2,000 and a 9 mm semi-automatic handgun, along with a loaded ammunition magazine, were found under a mattress. Agents also seized $980 in cash, which they suspect was drug money. 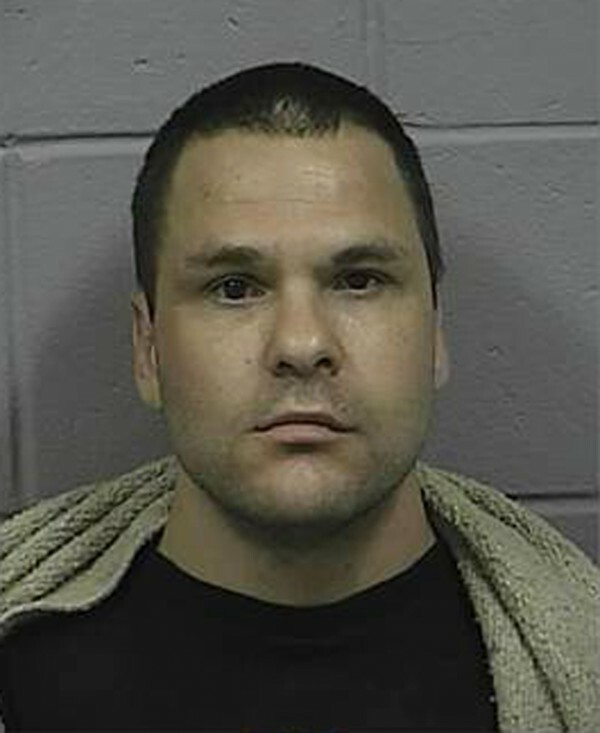 MDEA agents and troopers from the Maine State Police then executed a search warrant at Lemery’s residence in Bradley. Additional evidence was found during that search, though Crandall declined to identify what it was. “This investigation is far from over and others involved in the criminal conspiracy will be charged,” said Crandall in the press release. Call was released on bail Friday and Lemery and Slaughter were being held at Penobscot County Jail. In Lemery’s and Slaughter’s initial court appearance Friday at the Penobscot Judicial Center in Bangor, Judge Bruce Jordan set Lemery’s bail at $5,000 cash or $25,000 surety and Slaughter’s bail at $10,000 cash or $50,000 surety, according to Penobscot County Assistant District Attorney Brendan Trainor. If the defendants make bail, they will be banned from seeing each other, using intoxicants or possessing firearms. They must also submit to random searches and drug testing. 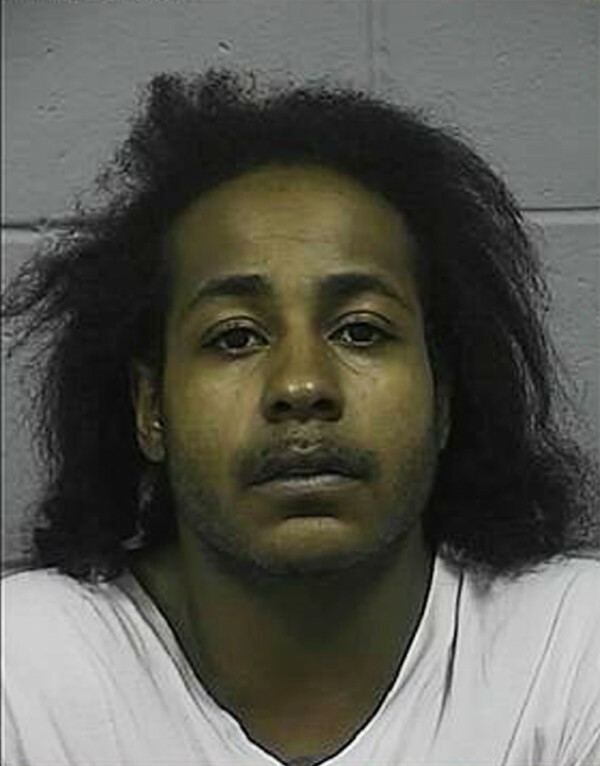 Trainor said Slaughter’s bail is higher because, unlike Lemery, he has few ties to Maine. The next court appearance for Slaughter and Lemery is scheduled for Sept. 13. Call did not appear in court Friday, said Trainor, who added that the charges against the trio will be reviewed soon by a grand jury. Crandall said Friday that the Class B charge against Call, which could result in up to 10 years in prison if he is convicted, reflected only the single drug transaction police say took place in Old Town late Thursday night. Lemery and Slaughter face more serious Class A charges because they are being held responsible for the handgun allegedly found in close proximity to the drugs at the cottage in Ellsworth. A Class A drug charge carries a sentence of between four and 30 years in prison.